FIRST FLOOR: You have a small laundry and ski room whcih you enter through an extra entrance door from the outside. The dirst floor you enter through 12 stairs from the outside. There are 2 bedrooms each with 2 twin beds. There is a full bathroom on the floor with combined shower / bath tub, toilet and sink and a second small bathroom with a guest toilet and sink. You will find here solid wood furniture with the traditional Swiss look. The living room area is at same level and as well the kitchen. TV and internet are here with a dining area (seats up to 8 people) and a semi-open kitchen. 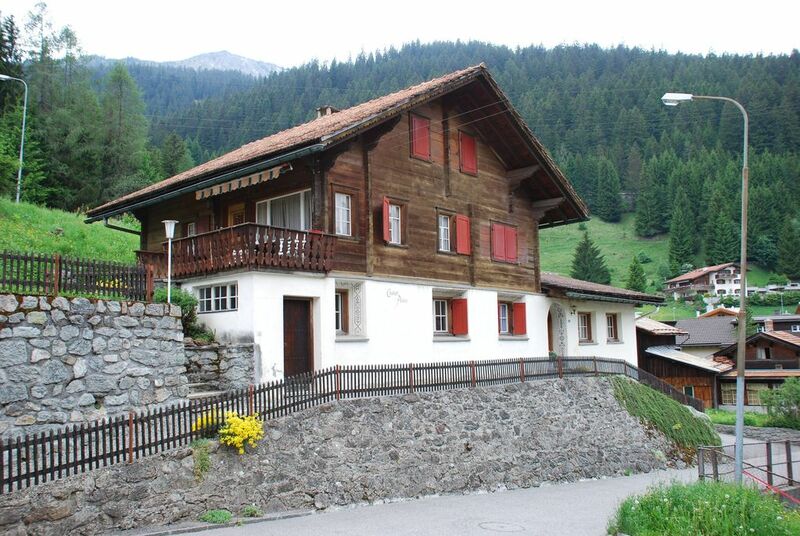 TFrom here you have a breathtaking views towards Madrisa mountin and to the Klosters Village. The main Gondel going up to Davos-Klosters ski area, the children's ski school and the Klosters ice rink are only a short walk away. A wooden staircase leads to the bedrooms upstairs. One room has got two single beds and another shower. The two other bedrooms are equipped with single beds and each of them has a sink as well. The house has been recently renovated and bath rooms have been completely renewed. The floor downstairs was replaced and upstairs you still have a solid wooden floor, all providing a warm cozy lodge atmosphere. The house also has 1 garage and outside space for 2 car parks. The story goes that our antsisters lived here for almost 80 years and a family of 6 people spend their daily live in the Chalet Anna. This house has the history and memory of 3 generations, now with our children being 8 and 12 as the youngest.